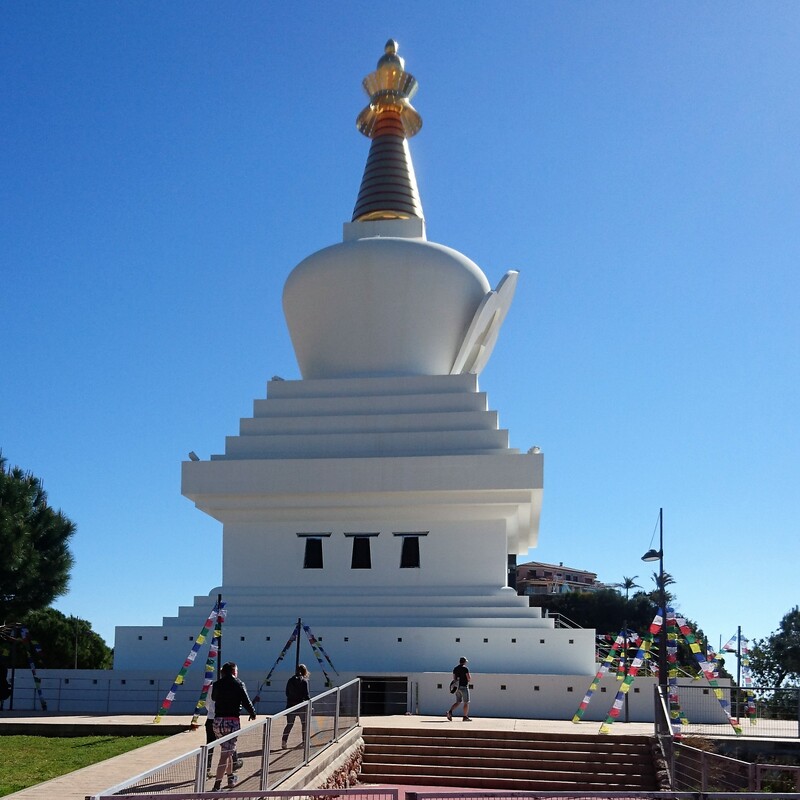 We began the day by heading to the opening ceremony of the three day EBU event at the Enlightenment Stupa at Benalmadena. 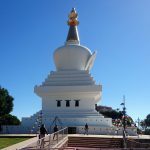 As we drew near we were both awed by the massive Stupa with its golden top glistening in the sun. However, by the time the group photo took place at 11.00 the rain had truly set in with the temperature dropping below Manchester’s. 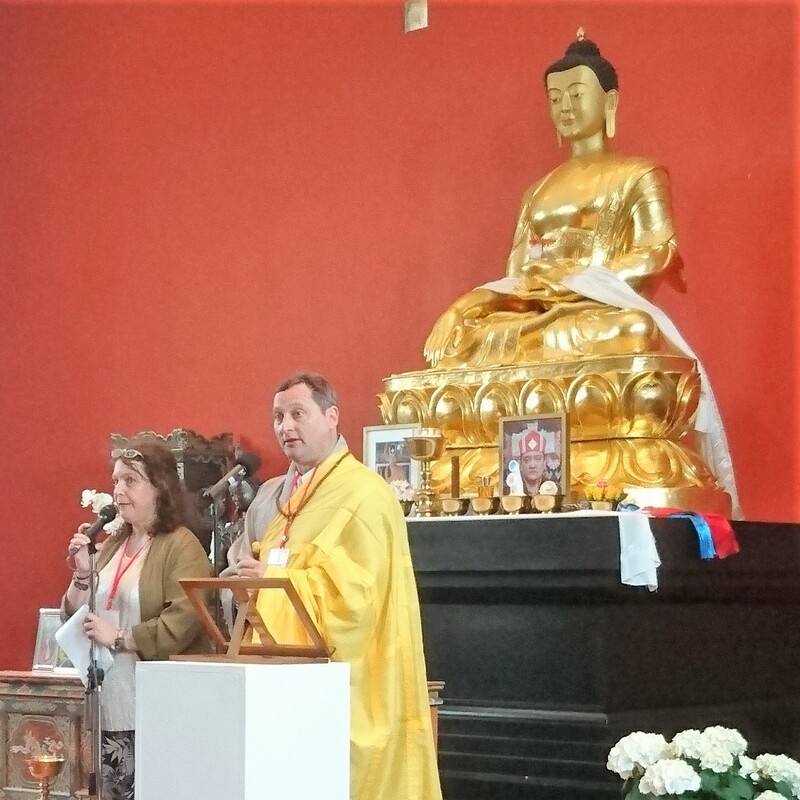 The event was attended by 70 delegates from across Europe representing a wide range of Buddhist traditions. The formal opening ceremony, comprising seven speakers, made us all very welcome. Local, regional and national dignitaries spoke including the Mayor and the minister for Justice, who travelled all the way from Madrid to attend. The first day had a packed agenda, ranging from the increasing mental health issues in Europe to traditional presentations on renunciation. The evening finished with a cultural event. The most enjoyable aspect was meeting a wide variety of Buddhists from across Europe. 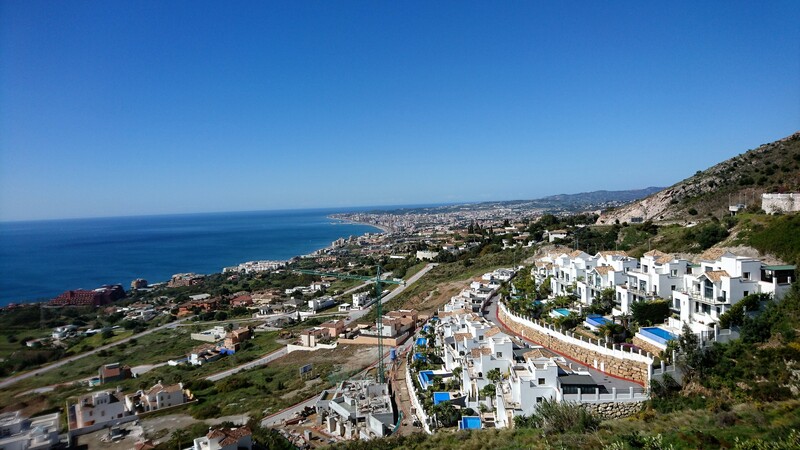 Sadly, your bloggers’ expectations of enjoying warm weather on the Costa del Sol did not materialise as the very low temperatures and driving rain stayed with us all day! Our very busy Saturday began with much pleasanter weather. Windy, but an improvement on day one. The first talk, given by a lay woman and a nun, was on the challenge of patriarchy for Buddhism in the West and the importance of ensuring women have positions of influence and leadership throughout developing Buddhist communities. The second speaker, from the Shambala organisation, addressed the topic of respect and tolerance and ensuring we challenge discrimination in our communities. He alluded to the recently publicised, long standing inappropriate behaviour in a number of sanghas. The next speaker, from Norway, gave an academic critique of Buddhism. He used Stephen Bachelor’s recent work, which he had reservations about, to discuss the influence of Hinduism and other views on the historic development of the dharma and to give an analysis of whether these ideas are the views of the Buddha or a later development. This was followed by a very different talk from the Reiyukai school of Japanese Buddhism on the influence of ancestors and how this can be used to heal. Our acquaintance, Dafydd from Diamond Way, then gave a presentation on developing wisdom and compassion from the Vajrayana perspective. A much more familiar presentation for us than the previous one. We ended the day by attending a workshop session on the three pillars of ‘renunciation’, ‘bodhicitta’ and ‘wisdom’ from the Gelug perspective, the emphasis being karmic formation. John left with doubts on the views expressed regarding karmic formations for Bodhisattvas. Another sunny, warm day. This was the final day of the conference and finished at lunch time as many of us had flights booked for later in the afternoon or early evening. A representative from the Portuguese Buddhist Union started the day with an overview of the developments of Buddhism in Portugal, including inter-religious dialogue. This was followed by a talk from a UK Amida-Shu delegate, focusing on gratitude and grace. He discussed the importance of appreciating the kindness of others and of fostering gratitude. The speaker had a lovely gentle manner which embodied these qualities. The final session we attended was a led insight meditation with an added focus on the emptiness of language. The session started with calm abiding, moving into an analysis of the lack of self. 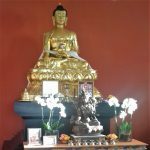 This was similar to the ultimate bodhicitta meditation that we sometimes practise on Thursday nights at Kagyu Ling. The closing ceremony thanked the organisers including Ron Eichhorn, the president of the EBU and Margarita Lehnert, president of the Enlightenment Stupa. Margarita ended the ceremony with a dedication of merit prayer.